And come in a range of colours - ooh! Pretty! 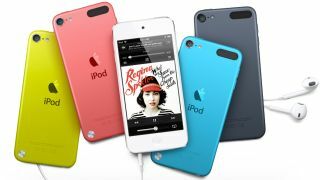 Will the budget blower be more iPod than iPhone? Apple's cheap iPhone could bear more than a passing resemblance to the iPhone 5 if the latest speculation is accurate: that the it will feature a 4-inch screen like its more expensive sibling. Also on the cards are a "super-thin" housing made of a mix of plastic and glass fibre, and an exciting range of colour options beyond the traditional black and white. The word comes from analyst Ming-Chi Kuo who has a fairly good track record with Apple rumours - as TechCrunch points out, he's been spot on with insider info on the iPhone 4S, the white iPhone 4 and the iPad 2. Kuo says the reason that the budget iPhone's screen will be 4-inches rather than the 4.5- and 5-inch displays that have been rumoured in the past is because the specs were decided way back in 2011, back when we lived in blissful ignorance of the term 'phablet'. We've heard tell before that the cheap iPhone will come in a plastic finish - the ever-questionable Digitimes has already 'confirmed' that the chassis won't be glass like the iPhone 5's. But this plastic-glass-fibre mix is a new one, which Kuo says will make the casing stronger, lighter and thinner than other casings already on the market. Another new one on us is the fact that Kuo reckons the budget iPhone will come in a range of colours, between four and six of them presumably similar to the rainbow hues of the iPod ranges. And if you're not up for saving cash, Kuo added that he expects an iPhone 5S to launch later this year too; just as we suspected.